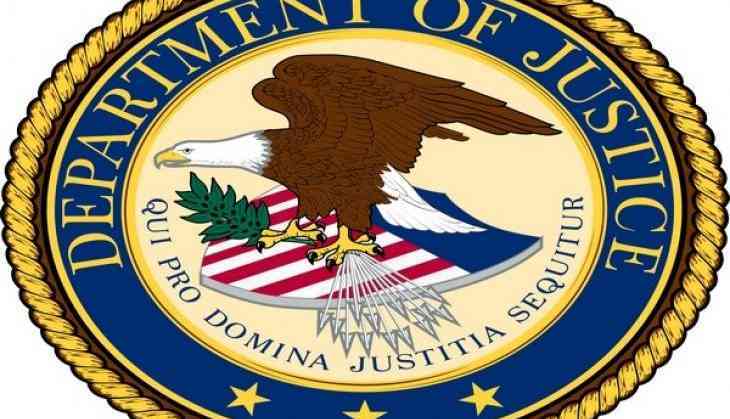 The United States Department of Justice (DOJ) on Friday indicted charges against nine Iranian">Iranians for their massive hacking into over 300 global universities and theft of precious academic data and intellectual property. According to the charges, it alleges that the defendants worked on behalf of the Iranian">Iranian government, specifically the Islamic Revolutionary Guard Corps (IRGC). "They hacked the computer systems of nearly 320 universities in 22 countries. Of them, 144 were American universities," US Deputy Attorney General Rod Rosenstein said. "The defendants stole research that cost those universities approximately USD 3.4 billion to procure and maintain. That stolen information was used by the Revolutionary Guard or sold for profit in Iran," he added. The nine Iranian">Iranians worked for an organisation known as the Mabna Institute, which two of the defendants founded for the stated purpose of helping Iranian">Iranian universities to "access scientific research." Their work consisted of stealing research through illegal computer intrusions, the Voice of America reported. "The indictment charges defendants for committing seven federal crimes. The charges include computer fraud, wire fraud, conspiracy and identity theft", Rosenstein stated. The American deputy attorney general maintained that every sector of the US economy was "the target of malicious global cyber-attacks." "Everyone who owns a computer needs to be vigilant to prevent attacks. Academic institutions are prime targets for foreign cybercriminals. Universities can thrive as marketplaces of ideas and engines of research and development only if their work is protected from theft," Rosenstein said. "This indictment publicly identifies the conspirators and this type of public identification helps to deter state-sponsored computer intrusions by stripping hackers of their anonymity and by imposing real consequences," he added. According to the DOJ, Gholamreza Rafatnejad and Ehsan Mohammadi founded the Mabna Institute in 2013 to assist Iranian">Iranian universities and scientific and research organisations in stealing access to non-Iranian">Iranian scientific resources. The institute employed, contracted and affiliated itself with hackers-for-hire and other contract personnel to conduct cyber intrusions to steal academic data, intellectual property, email inboxes and other proprietary data. It contracted with both the Iranian">Iranian government and private entities to conduct hacking activities on their behalf, and also specifically conducted the university spearphishing campaign for the IRGC. The Mabna Institute, through the activities of the defendants, targeted more than 100,000 accounts of professors around the world, according to the indictment charges. The Iranian">Iranians successfully compromised approximately 8,000 professor email accounts across 144 US-based universities, and 176 universities located in over 20 countries.